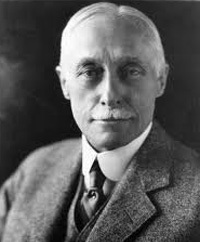 Elmer Sperry was an American inventor and industrialist. He is celebrated for his improvements to the gyroscope. In 1910 Sperry invented the gyrocompass. He also designed a number of other electrical devices, including a powerful searchlight. Sperry used gyroscopes in his development of autopilot systems for navigation. He founded the American Institite of Electrical Engineers.